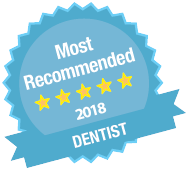 Although gum disease (also known as periodontal disease) is a common condition, people are often unaware they have it, as they may have few, if any, symptoms. If left untreated, this disease can adversely affect gum tissue and the bone that holds teeth in place. If detected during its early stages, gum disease can be reversed but if allowed to progress it can only be managed. Gum disease is caused by the plaque that builds up daily on your teeth. If this sticky substance is not removed, it can turn into hard tartar and start to irritate the gums, leading to redness and soreness. 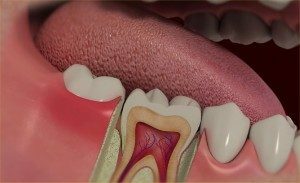 As a reaction to this irritation, the body can start to attack any build-up around the teeth. 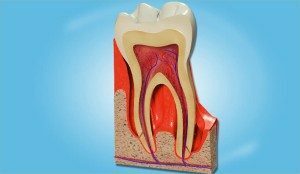 In some people, their immune system can overreact and start to break down the gum tissue and even the bone that supports the tooth. The first stage of gum disease is known as gingivitis and this causes gums to become irritated, swollen and to bleed easily. If left untreated, gingivitis can lead to periodontitis, which can cause gums to separate from the teeth, creating pockets that are susceptible to infection. 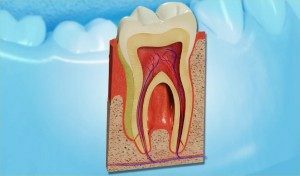 Over time, these pockets will deepen, the gums will continue to recede, and eventually teeth can become loose and may have to be removed. Despite the destructive nature of this process, there may only be mild symptoms, even at a late stage. The best way to prevent gum disease is to make sure plaque is removed effectively. This means you need a thorough home care routine with plenty of brushing and flossing, and you should see the hygienist so your teeth can be properly ‘scaled and polished’. You also need to see your dentist regularly so any changes can be detected before they worsen. Other ways you can reduce your risk of developing the disease include giving up smoking, reducing stress and eating a well-balanced diet. Long-standing gingivitis can turn into periodontal disease. There are a number of types of pe riodontal disease and they all affect the tissues supporting the teeth. As the disease gets worse the bone anchoring the teeth in the jaw is lost, making the teeth loose. If this is not treated, the teeth may eventually fall out. Probably. Most people suffer from some form of gum disease, and it is the major cause of tooth loss in adults. However, the disease develops very slowly in most people, and it can be slowed down to a rate that should allow you to keep most of your teeth for life. All gum disease is caused by plaque. Plaque is a film of bacteria, which forms on the su rface of the teeth and gums every day. Many of the bacteria in plaque are completely harmless, but there are some that have been shown to be the main cause of gum disease. To prevent and treat gum disease, you need to make sure you remove all the plaque from your teeth every day. This is done by brushing and flossing. Your dentist will usually give your teeth a thorough clean. You’ll also be shown how to remove plaque successfully yourself, cleaning all surfaces of your teeth thoroughly and effectively. This may take a number of sessions with the dentist or hygienist. Once your teeth are clean, your dentist may decide to carry out further cleaning of the roots of the teeth, to make sure that the last pockets of bacteria are removed. You’ll probably need the treatment area to be numbed before anything is done. Afterwards, you may feel some discomfort for up to 48 hour. Periodontal disease is never cured. But as long as you keep up the home care you have been taught, any further loss of bone will be very slow and it may stop altogether. However, you must make sure you remove plaque every day, and go for regular check ups by the dentist and hygienist.